The No. 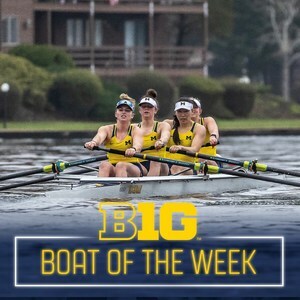 6-ranked University of Michigan rowing program earned its second straight Big Ten accolade to start the 2019 season, as the league named U-M's first varsity four (1V4) boat the Big Ten Boat of the Week. The first varsity four boat included Grace Collins (RHS - 2017), Lilia Duncan, Lillian Mei, Grace Gagliardi and coxswain Sujin Kim. Michigan remains undefeated after wins against on No. 5 Yale, No. 19 Harvard-Radcliffe and No. 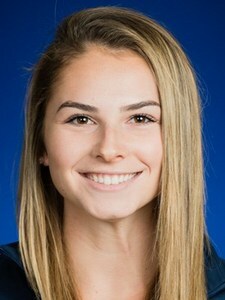 17 Indiana University during the opening weekend's Big Ten-Ivy League Double Dual (March 29-30) on Belleville Lake, MI.